The Alphabet chairman gave little ground under questioning. 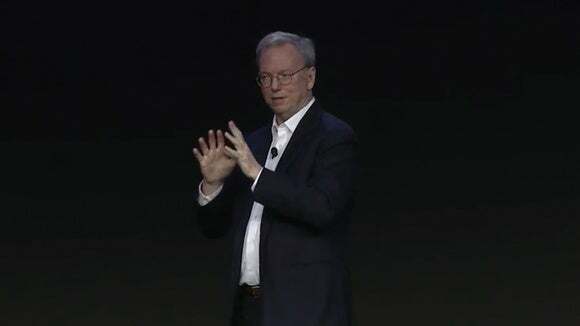 Eric Schmidt took the witness stand Tuesday in Oracle’s copyright infringement lawsuit against Google, and he gave little ground during some tense exchanges with Oracle’s attorney. Schmidt was initially questioned by Google's own attorneys, and testified that Google did not believe it needed a license to use 37 Java application programming interfaces for which Oracle owns the copyright. Asked for the basis of that belief, he replied: “Forty years of experience,” implying it was common belief in the industry that APIs can be used without a license. His responses made it more difficult for Bicks to establish points he wanted to make in front of the jury. But it also meant that Bicks wasn’t finished with his questioning when court wrapped for the day at 1 pm. That means Schmidt will have to be back in court at 7:30 am Wednesday to finish up. Google attorney Bob Van Nest protested that Oracle was almost done with Schmidt as a witness, but Judge William Alsup said the jury had a right to finish on time. The case is expected to last about four weeks, and Oracle is seeking $8.8 billion in damages. Google says its use of the APIs is protected by the legal doctrine of "fair use" and that it owes Oracle nothing.